This five-mile loop through private property permits public access, but receives very little foot traffic since it’s a little ways out of town. Climbing switchbacks through elaborate, hand-laid talus paths leads you to a scenic ridgeline overlooking the valley and surrounding mountain ranges. For a substantial peak ascent largely through talus fields, it’s a remarkably tame hike—thanks to long, mild switchbacks and exceptional rock staircases and pathways built into the mountainside. There are 16 miles of barely utilized singletrack trails at Gray Head—a 900-acre private wilderness preserve and network of luxury estates. However, some of those trails can be difficult to route-find without a local guide. 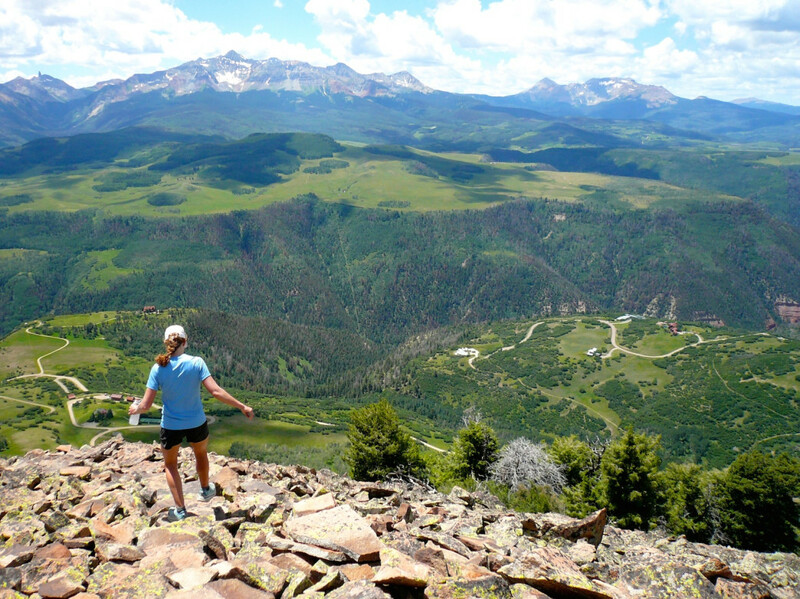 This five-mile loop is relatively simple to follow most of the way, and offers a tour of some of Telluride’s finest rockwork with its elaborate talus paths and rock staircases designed by longtime Telluride locals. Begin at the western intersection of Hawn Lane and Last Dollar Road. The trail can be faint or overgrown with tall grass in places, but begin with a gentle meander uphill. 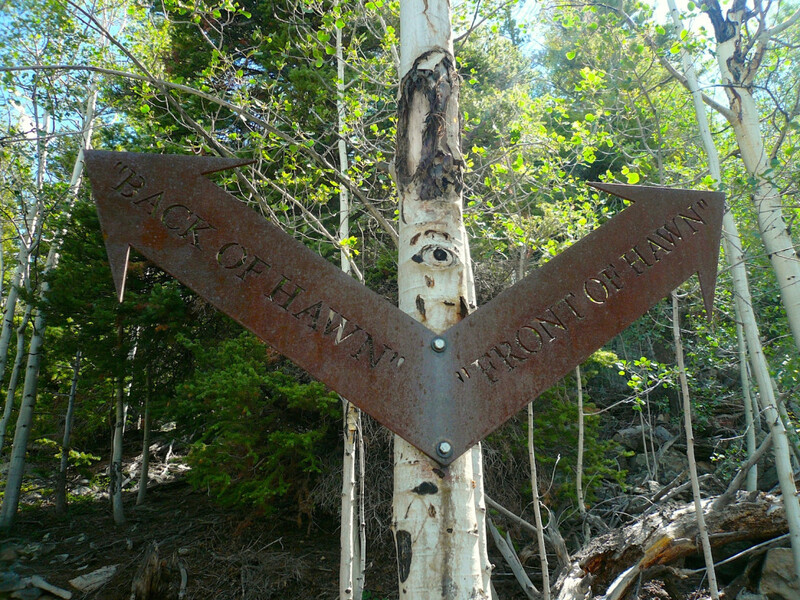 When you come to an intersection marked with two iron trail arrows demarcating the “Back of Hawn” trail to the left and the “Front of Hawn” trail to the right, you can opt here to do the loop in whichever direction you like. If you’re short on time and just want to do a quick out-and-back up to the summit, opt for the more direct Front route; the Back route is more meandering through the woods. The Front route is almost entirely on talus. Most of the stones set into the route are stable, but nevertheless, ankles beware as you pick your way through the rocks! Enjoy views of the Wilson Range and Lizard Head as you follow a clear path of switchbacks up the mountain. Once you hit the ridgeline, just below 11,000 feet, enjoy the soaring views. 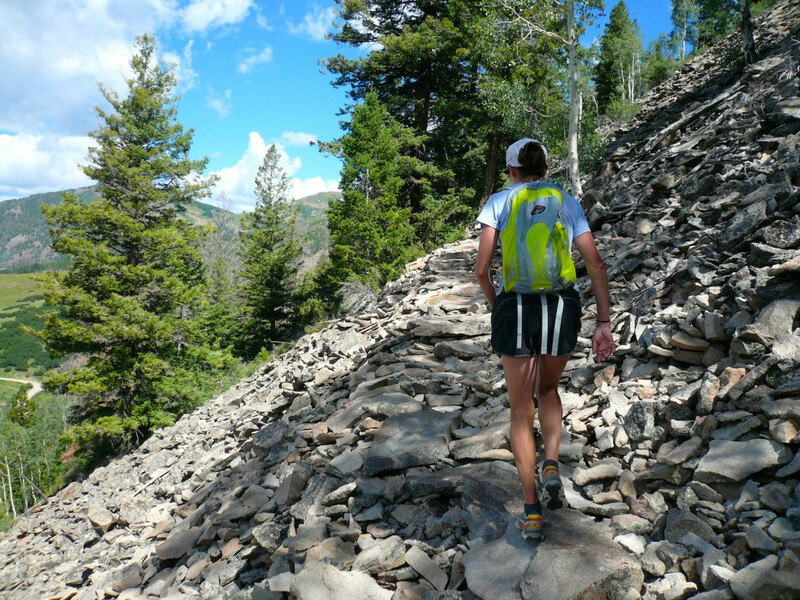 Follow a clear trail of cairns to the backside of the peak. Drop into the woods, where the trail can be a bit more difficult to follow in places, and make your way back down the Back of Hawn segment of the loop. 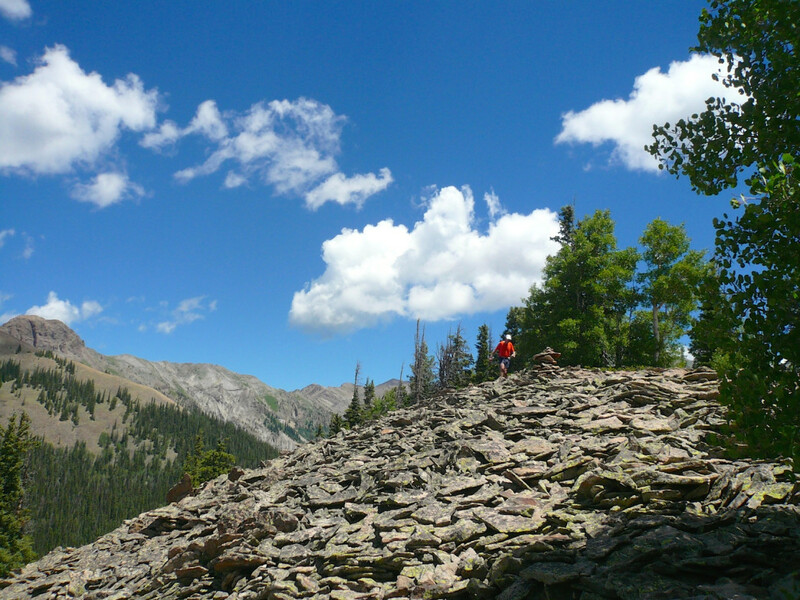 With ample wildlife critters and plenty of easy rock scrambling, this is a fun, relatively easy peak to bag with kids who are game to spend a few hours hiking. Those with weak ankles or knees may be less appreciative of the unforgiving rock surface of much of the climb. Drive three miles west out of Telluride and make a right on Last Dollar Road, following signs for the airport. Just before the airport, make a right to stay on Last Dollar Road, where the pavement quickly turns to dirt. Follow the road for four more miles until you reach the second sign for Hawn Lane. A small sign saying “Private Trail – Hike at Your Own Risk” marks your trailhead. There’s only one creek crossing the whole way, so bring plenty of water.